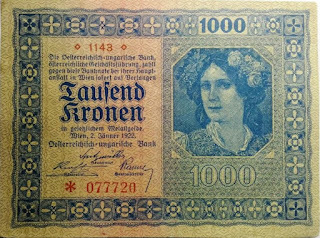 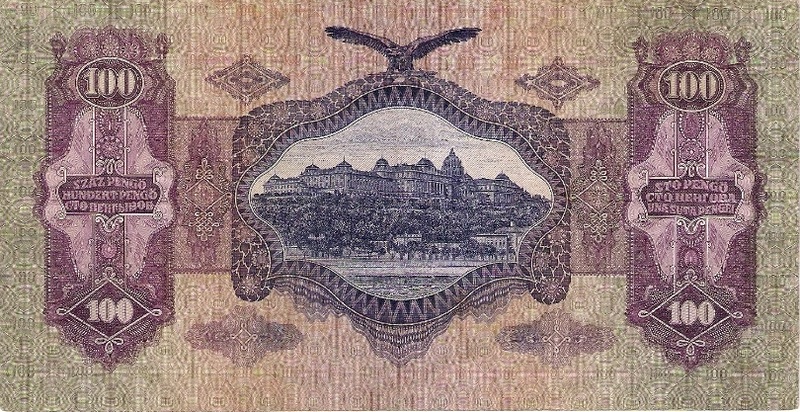 The Krone or korona (Hungarian: osztrák-magyar korona) was the official currency of the Austro-Hungarian Empire from 1892 (when it replaced the gulden, forint, florén or zlatka as part of the adoption of the gold standard) until the dissolution of the empire in 1918. 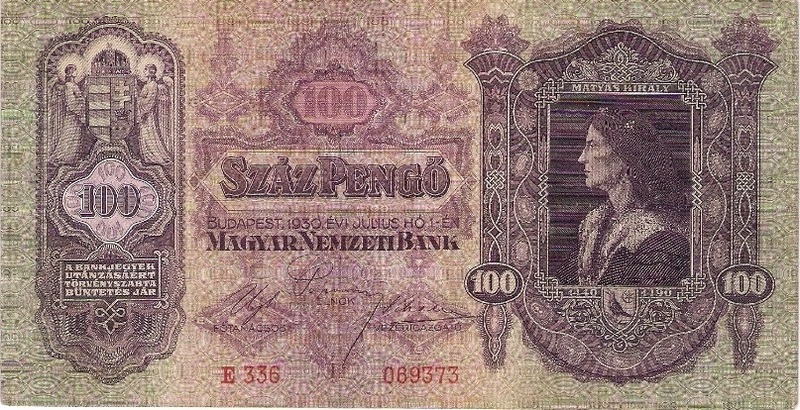 The subunit was one hundredth of the main unit, and was called a Heller in the Austrian and a fillér (or halier in Slovak) in the Hungarian part of the Empire. 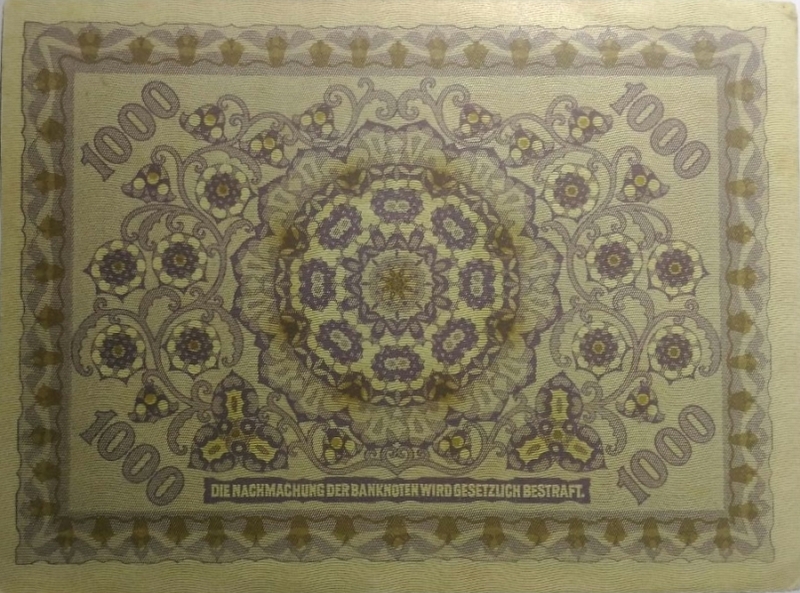 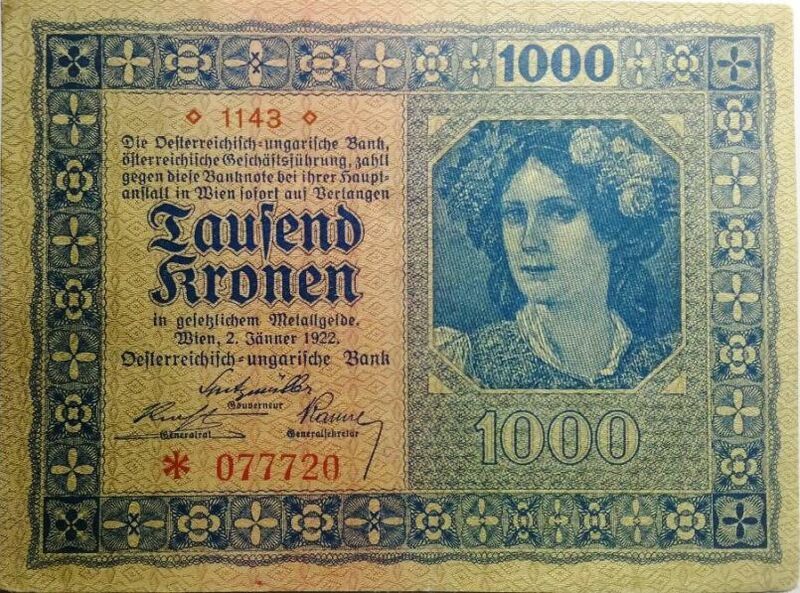 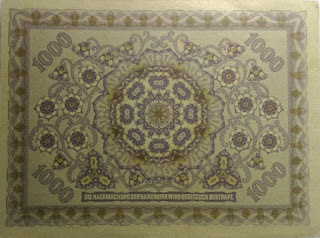 25 000, 50 000, 100 000, 500 000, 1 000 000 korona. 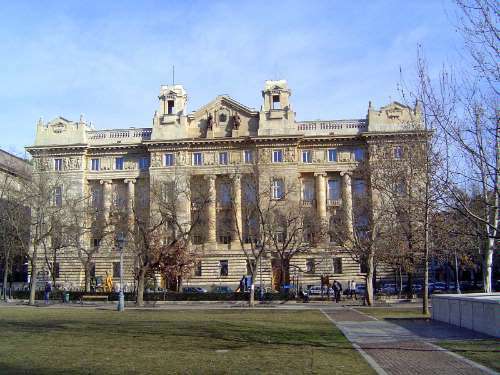 Coins : 5 Ft, 10 Ft, 20 Ft, 50 Ft, 100 Ft, 200 Ft.
Banknotes : 500 Ft, 1000 Ft, 2000 Ft, 5000 Ft, 10,000 Ft, 20,000 Ft.
Royal Palace at Budapest/Hungary at center. 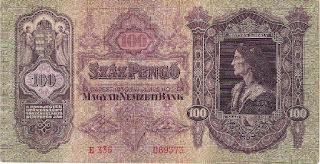 Portrait woman wearing national costume at right.